Indian Polo stars like Simran Shergill (+6), Shamsheer Ali (+6), Dhruvpal Godara (+5) and Samir Suhag (+5) along with the likes of Englishmen Matthew Perry (+6) and Tom Brodie (+4), and Argentine Manuel Fernandez Llorente (+6), will be among those vying for the prestigious La Pegasus Polo Northern India Polo Championship 2019, scheduled between February 19-24 at the famous Jaipur Polo Ground in the National Capital. Chief of Army Staff (COAS), Gen. Bipin Rawat, is expected to be the Chief Guest for the final. Quarter Master General of the Indian Army, Lt. Gen. Ashok Ambre is also expected to attend the final. The Sanjay Jindal founded La Pegasus Polo, one of India’s upcoming premier Polo establishments, continues in its endeavor to promote the sport and its players by bagging three-year sponsorship rights of the tournament, which is the toast of the Polo fraternity across the nation and the highest level of Polo, played in India. Incidentally, La Pegasus Polo are also the defending champions of this High-Goal (16 Goal) tournament, held under the aegis of the Indian Polo Association (IPA) and conducted by the Army Polo & Riding Centre (APRC). The La Pegasus Polo Northern India Polo Championship 2019, will as always, be promoted in a big way, by the Indian Army. 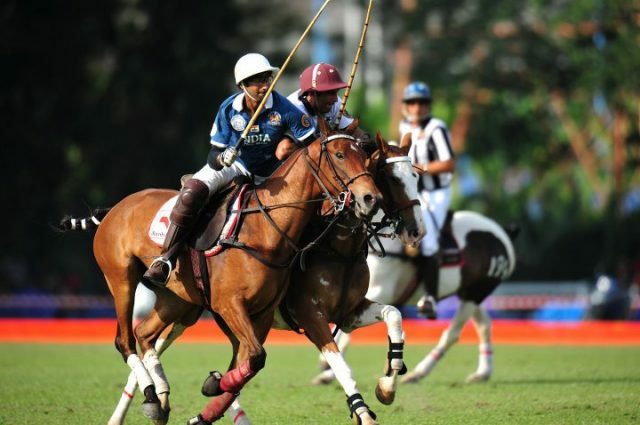 This tournament has been played every year since 1922 as a 16 Goal Polo Tournament. The ‘NORTHERN INDIA POLO CHAMPIONSHIP’ trophy is played for the ‘RATLAM CHALLENGE CUP’ which was donated by the then Maharaja of Ratlam in 1922 at Delhi, also known as ‘Prince of Wales’ commemoration polo tournament. The Jodhpur Polo team won the first tournament played that year. Last year, the La Pegasus Polo team beat Sona/Jindal Panther 9-7 in the finals to win the title. Among the four to five teams expected to participate will be the likes of Sahara/Rajnigandha, Sona Polo, Jindal Panthers, Garcha Hotels and Aravalli Polo apart from the La Pegasus Polo team.